Three friends, a ended relationship, many laughs, and a great sense of humor and love, too. Jenny (Gina Rodriguez) is a future music journalist who has just received a great offer to move to San Francisco to work there, it is the offer of her life, the one she has always wanted. Before accept it, she has to leave her nine years boyfriend to a avoid avoid the difficulties of a long-distance relationship. 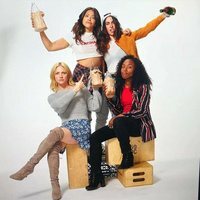 She finally break up with him and she and her two best friends, Erin (DeWanda Wise) and Blair (Brittany Snow), decide to have final party in New York City to fix her broken heart with alcohol and a handover. Jennifer Kaytin Robinson debuts as director with this romantic comedy that also writes. The same one that stars in the film, Gina Rodríguez, produces it with Paul Feig (Ghostbusters). Write your own 'Someone Great' review.